I finally got a chance to look at yesterday’s Style section, and once again, there is a new development vis-a–vis the reordering of the Book World universe. Michael Dirda’s reviews are now slated to appear every Thursday in Style. This is something to look forward to, for sure. Michael Dirda’s writings show him to be a passionate book lover as well as – dare I say it – a true intellectual. This same Style section brings the welcome news that Joseph O’Neill has won the 2009 PEN/Faulkner fiction award for Netherland, a novel that I greatly enjoyed. I’ve long appreciated the Post’s generous coverage of literary awards (although a few more articles about genre fiction awards, such as the Edgars, would be appreciated even more). Back to Michael Dirda’s review: it begins on the front page of Style and is continued inside. Below the column on the front page, we are informed about “Dirda’s New Home” as follows: “Today, Michael Dirda’s weekly book review moves to Style. Look for his reviews of literary nonfiction and fiction in this section every Thursday.” Note the specificity of “literary nonfiction.” Alas, Mr. Dirda will have to put away those Chilton manuals and get down to serious (literary) business! Maybe the collectible Chilton books should be reviewed for delightful covers! 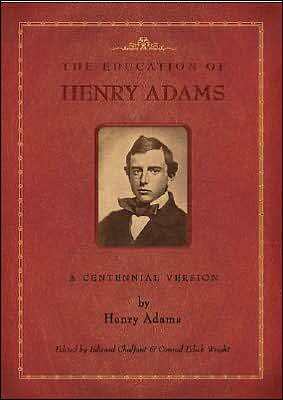 As for the Henry Adams, it’s the most serious nonfiction book I could think of off the top of my head. I’ve tried to read it several times and not succeeded, alas. 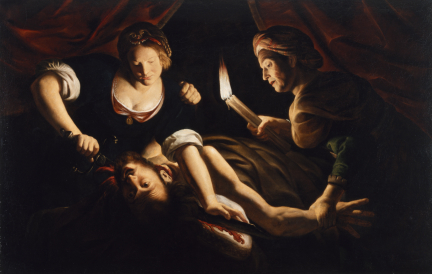 “I am a feather for each wind that blows.” Thus mourns Leontes, ruler of Sicilia. He has allowed himself to become prey to an overmastering jealousy, and in so doing, has destroyed his family. 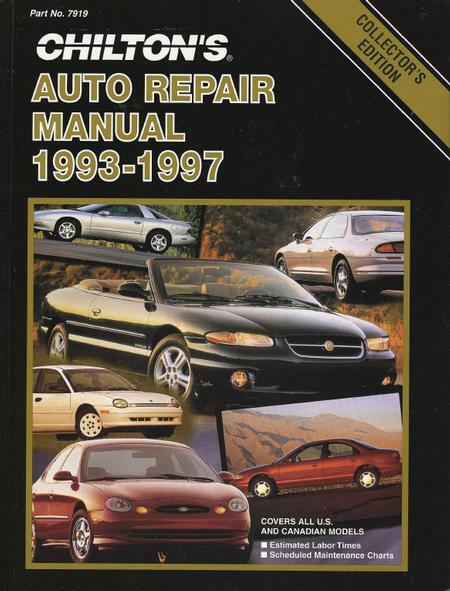 It will take sixteen long years for the damage to be repaired. Of course, the theme of irrational jealousy puts us in mind at once of Othello. 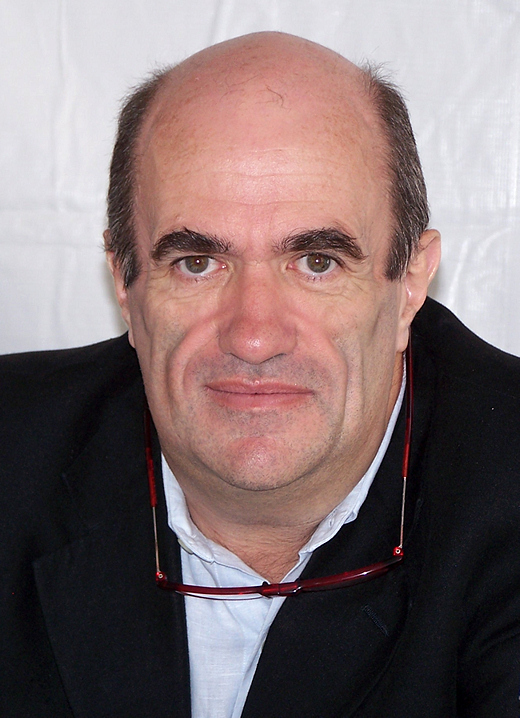 But The Moor was goaded to a savage paranoia by the machinations of the crafty Iago. 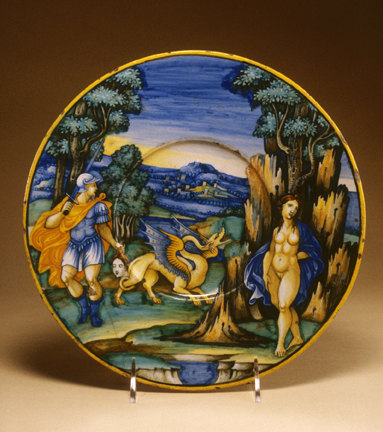 Leontes’s demons spring solely from his own overheated imagination. As the drama commences, he has asked his wife Hermione to persuade Polyxenes, King of Bohemia, to extend his stay in their company. Alas, in her efforts to prevail upon their guest, Hermione displays too much warmth for her husband’s liking. The fact that she is great with child only exacerbates Leontes’s suspicions. (Whose child is it?) He will not be reasoned with, even when the formidable Paulina, wife to one of Sicilia’s preeminent lords, brings her considerable powers of persuasion to bear upon him. Paulina pleads for Hermione, whom she loves and knows to be virtuous and true. But Leontes’s rational mind is in eclipse; he will not alter his position. Once the green-eyed monster is unleashed, there is no stopping its destructive force. I found myself thinking about jealousy and its causes. Today science can provide a definitive answer as to a child’s parentage. This is, however, a relatively recent development. In Shakespeare’s time, there was only the word of the parties involved to offer any assurance. Once a man began to mistrust a wife or lover, there was no easy corrective to hand. Especially where important families were concerned, questions of lineage were crucial. It is perhaps not hard to see that once suspicion took root, especially in a weak or troubled mind, it might easily grow rampant. Thus it proved for Leontes and his hapless queen. 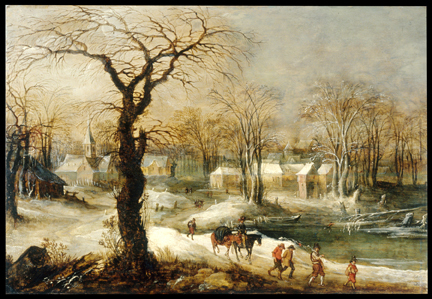 There are echos of other works besides Othello in The Winter’s Tale. The lovers Florizell and Perdita at play in the countryside evoke memories of characters in As You Like it. A statue come to life recalls the myth of Pygmalion and Galatea. 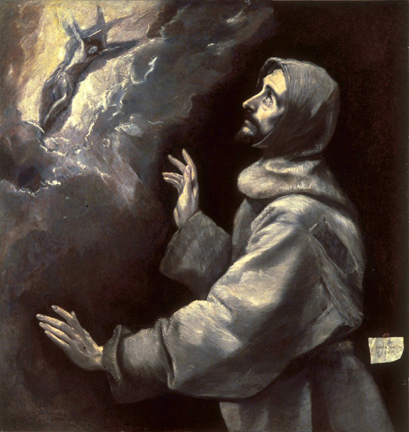 At the same time, one also feels the presence of the eternal verities – the obstacles that lovers must overcome; the contrition that must be genuine and heartfelt in order for forgiveness to occur. Florizell and Perdita are there, as well, as Florizell’s father Polyxenes, disguised as – you guessed it – yet another shepherd. At one point, Perdita, decked out as Flora goddess of flowers, hands posies round to various characters. 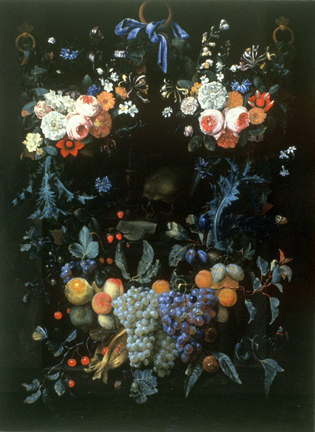 One is instantly put in mind of the scene in Hamlet where Ophelia does the same thing, although in a setting pervaded with gloom instead of gaiety. As I watched the festivities on stage, I thought about life and death in Shakespeare’s England. I read somewhere that many of the Bard’s fellow playwrights died before reaching the age of forty. Life expectancy was so much less than it is now; you could cut yourself and, if the wound became infected, be dead in a matter of days. 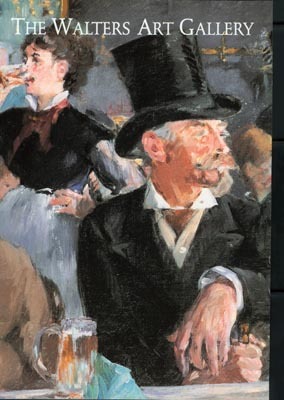 And yet the characters onstage were embracing life joyously, even recklessly, perhaps even more so in the knowledge of how capricious fate could be. 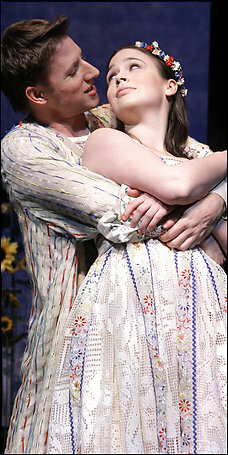 “In its extremes of emotion felt simultaneously, its jumble of images, its improbabilities, the play feels like a dream. Leontes’ jealousy has the texture of a nightmare, and turns life for Polyxenes and Hermione into a nightmare as well. Nothing is what it seems; the familiar becomes suddenly, terrifyingly strange, yet order is restored as suddenly and surprisingly as it was disturbed. That sense of the familiar becoming “terrifyingly strange” reminds me of how many of us felt immediately after the attacks of September 11, 2001. The restoration of order, after a shock of such magnitude, is, of course, what we all desperately craved. 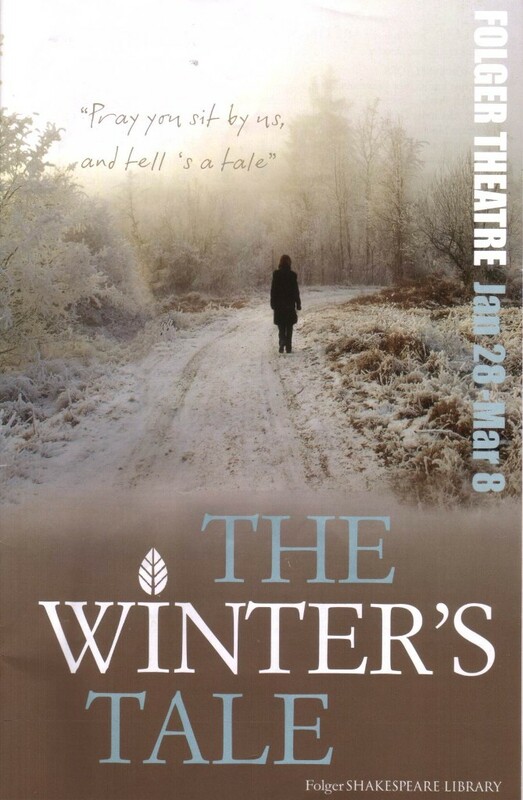 And it is that restoration – a positive and gratifying outcome – which makes The Winter’s Tale technically a comedy rather than a tragedy (although I have seen it referred to variously as a “problem play” and a late romance). A party of four us saw the play this past Sunday, and on the way home we were marveling – yet again – at the deep knowledge of the vagaries of the human condition bodied forth in these remarkable dramas. 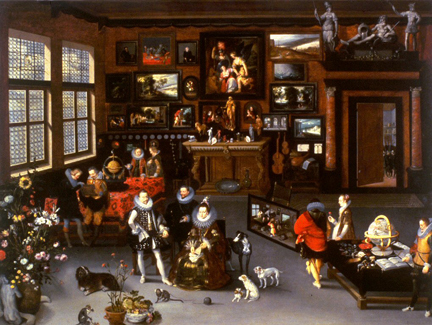 As a reviewer of Stephen Greenblatt’s Will in the World observed, the mystery is not so much that we know so little of Shakespeare’s life some four hundred years ago. The real mystery is that over that same time span and living in such a different world, he knew so much about us. Note: In the scenes in Sicilia, several of the male characters are attired in pinstripe suits. In the course of Hermione’s trial, Leontes seeks to verify his obsession with her supposed infidelity by having two of his lords travel to Greece to consult with the oracle at Delphi. Now, the juxtaposition of men in pinstripes and the famed oracle of ancient times was somewhat disconcerting. But then you remember that you are in Shakespeare’s dream world, where all things are possible. In this short video, Daniel Steward (Leontes) and Connan Morrissey (Hermione) discuss their respective roles in The Winter’s Tale. 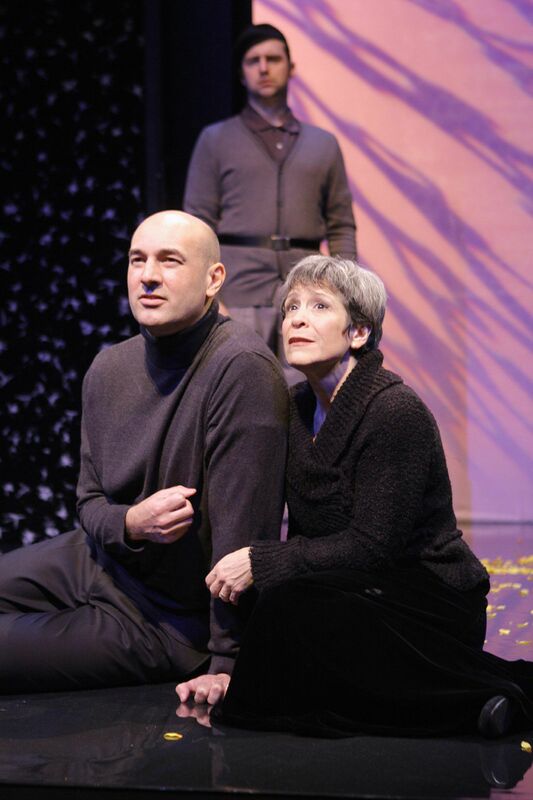 The Winter’s Tale runs through March 8 at the Folger Theatre. So I open the Style section of today’s Post and lo! a piece of Book World has fetched up on page 4! 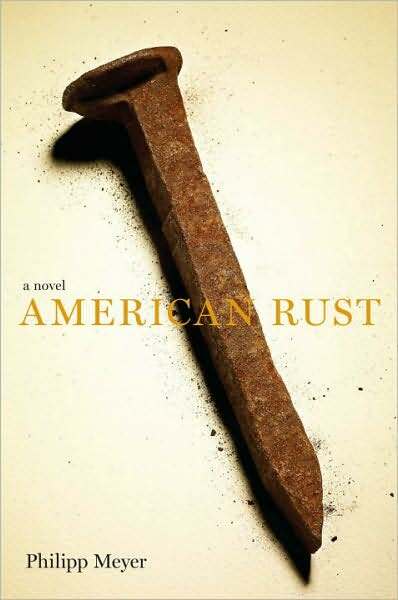 Actually, I made this discovery while engrossed in Ron Charles’s review of American Rust by Philipp Meyer. Charles’s piece begins on the first page of the Style section and continues inside, where it is joined by a review by Sarah L. Courteau of Chris Cleave’s novel Little Bee. The “New in Paperback” column is there also, and several timely items from the Literary Calendar appear at the top of the page. It was all quite a pleasant surprise. 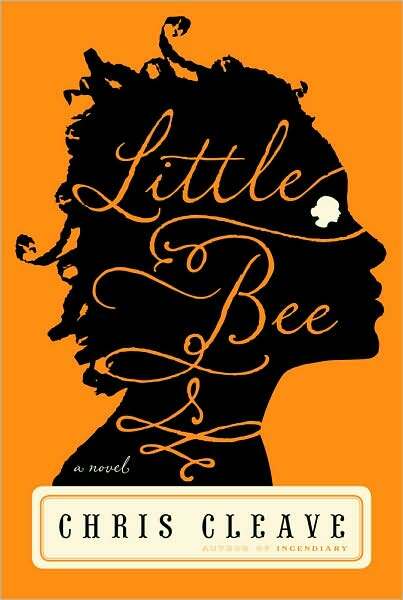 The only problem I have now is that both American Rust and Little Bee sound like books I’d like to read immediately. Oh, dear; there’s really a very long queue at this point! My thanks to Ron Charles, who took the time to comment on the post prior to this one, to the effect that the problem regarding ad placement in Book World online is being addressed. In the January Book World: ten full length reviews, including one each by Jonathan Yardley, Ron Charles, and Michael Dirda; a science fiction page with four shorter reviews; a section on what’s new in paperback; Mary Karr’s Poet’s Choice; the Literary Calendar; a list of reviews slated to appear in the coming week in the Style section; what’s on the web; letters to the editor; bestseller lists for hardbacks and paperbacks; and the Bookshop classified ads. In this past Sunday’s Outlook/Book World: six full length reviews and four shorter ones; notice of what’s upcoming in the coming week’s Style sections and on the web; list of hardback bestsellers; and Bookshop classified ads. Does that seem like a shorter list? It is. Here’s what not there: what’s new in paperback; Poet’s Choice; letters to the editor; the literary calendar; genre reviews; paperback bestseller list. In an effort to be fair – and with a chip on my shoulder the size of West Texas – I took a look at Book World Online – or, as it now appears to be properly called, Arts & Living: Books. And here was a surprise: I liked it – or at any rate,I liked most of it. There’s a nice mix of reviews, some new as of the 22nd, some slightly older. The lead feature is a review by law professor and historian Annette Gordon-Reed of a book by Martha Sandweiss entitled Passing Strange: The secret life of a famous 19th century surveyor and social figure. The “surveyor and social figure” is Clarence King, a personage recently encountered by me in Donald Worster’s biography of John Muir. 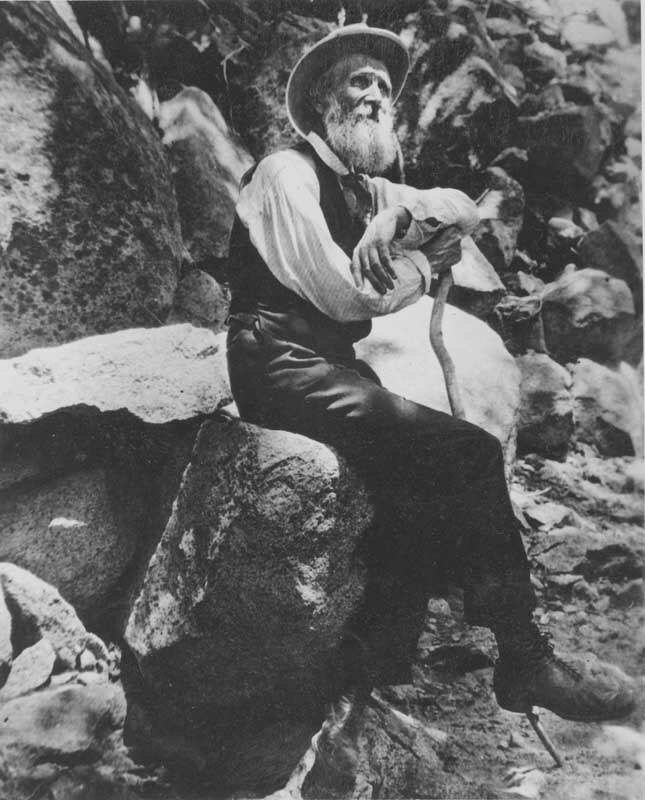 Like Muir, King was an avid mountain climber; he is wrote Mountaineering in the Sierra Nevada, published in 1872. Passing Strange appears to be primarily concerned with his ( rather unorthodox) personal life. I reserved it immediately. Next comes “Book World Voices,” which consists of one review each by Jonathan Yardley, Michael Dirda, and Ron Charles. These three are my “book review gods,” so I’m delighted to see them getting pride of place in that spot. From there, we proceed to the bestseller lists for fiction and nonfiction, hardcover and paperback. The lists look substantially different from how they appeared in print, and I like the new look. Links are provided to reviews of the listed titles. There are also links to other recent reviews, and to the Literary Calendar, where links are provided to venues in the area that are hosting readings and signings. As you scroll down, more reviews appear; there is news of the publishing world as well, and also Mary Karr’s highly valued Poet’s Choice. Towards the bottom of the page, there are links to past reviews by Jonathan Yardley, Michael Dirda, Ron Charles, Patrick Anderson, Mary Karr, and Carolyn See, excellent critics all. 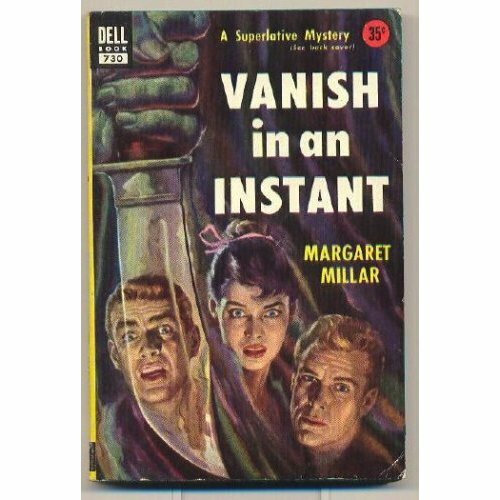 For those of us who love mystery and suspense, it’s a treat to have ready access to Patrick Anderson’s insightful pieces on our favorite fiction genre. 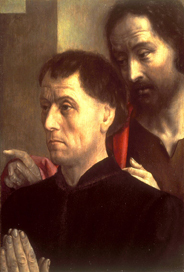 Also I was delighted to see a link to Jonathan Yardley’s occasional column, Second Reading. He it was who put me on to Isabel Colegate’s superb The Shooting Party. My major complaint has to do with the placement of the ads. On the main page they are kept to a minimum, but once you get deeper into the content, they become increasingly instrusive. This is particularly annoying in the Mary Karr segment, where an ad is placed smack in the middle of a poem’s first stanza. And that was after he had ’em rolling in the aisles! And just how do they pursue this ambitious goal? By inviting authors to speak and sign their books. By producing and donating videos (“The Writing Life” series) to the library. And by hosting – every year for thirty-one years now! – the hugely popular Irish Evening. Let me admit right off the bat, I’ve never before attended this event. I stand before you chastened. I mean to go every year from here on out. After the introduction by Irish evening Chair Catherine McLoughlin-Hayes (who grew up in county Roscommon, Ireland), His Excellency Michael Collins, Ambassador from the Republic of Ireland, strode on to the stage. 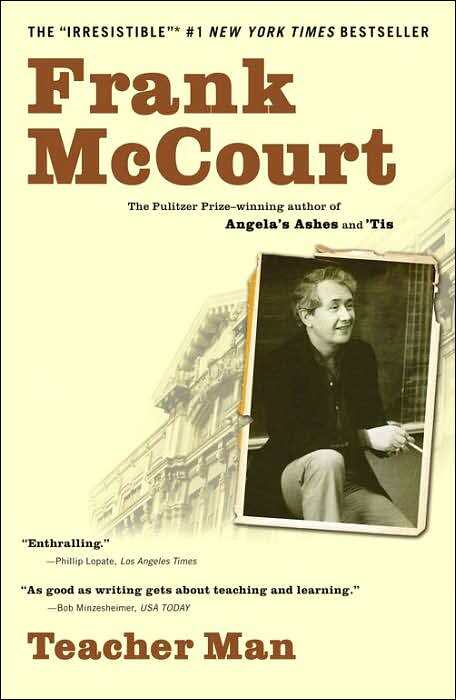 A courtly, distinguished gentleman, he shared some reminiscences of Frank McCourt, whom he and his wife have known since the 1980s. He then introduced the author himself. McCourt ambled up to the podium and, with almost no preamble, began firing away. 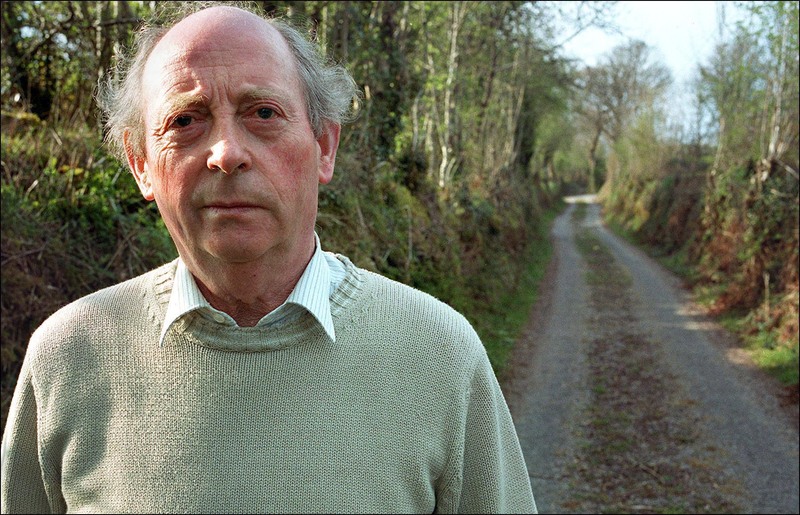 He is astonished, he told us, that Angela’s Ashes, his book about the grinding poverty of his Irish childhood has become a bestseller and a film, and is quite possibly headed for classic status as one of the great memoirs of the postwar years. He has met all sorts of famous people – Obama, both Bushes, Clinton, etc. Yet he seems genuinely bewildered by his fame, which came quite suddenly and was utterly unanticipated. 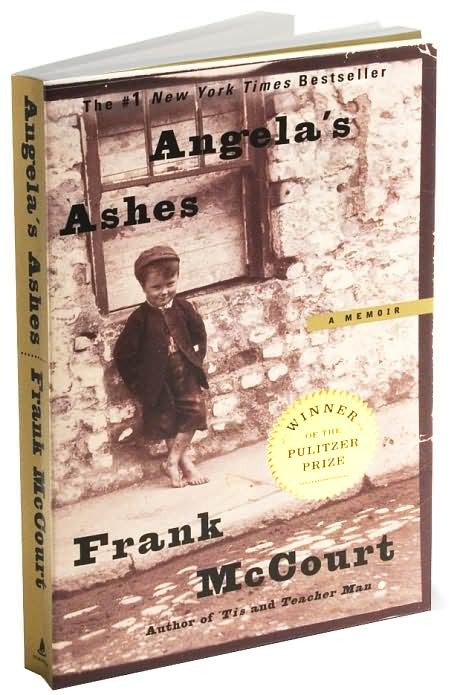 I don’t remember if he made a point of it in Angela’s Ashes, but Frank McCourt avers that even as a child, he always wanted to write. Due to his family’s extremely straitened circumstances, paper was very hard to come by. Anything he found that could be written on, he grabbed – examples he gave were paper bags and rolls of discarded wallpaper. It was necessary to conceal these items lest his mother feed them to the fire. This had nothing to do with her disapprobation and everything to do with keeping the family from freezing! 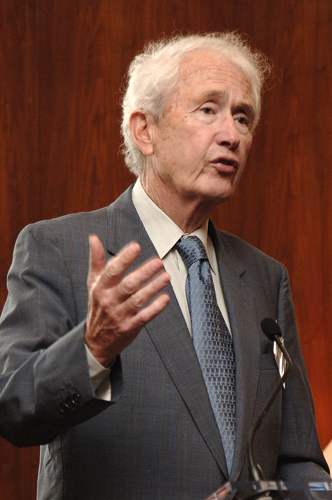 McCourt expounded on his theory of economics, which can be summed up as follows: everything someone does benefits someone else. He then went on to talk about religion, specifically the Catholicism in which he was raised. I admit I was nervous when he raised this subject. Knowing that he harbors a certain resentment toward the Church, I was afraid that he would cross the line and really let fly. But he played it for laughs instead, and always pulled back just in time. And in between the disquisitions on economics and religion, he treated us to a rambling commentary on masturbation. It was at times disconcerting – you never knew where he was going with it next – but mostly it was just plain hilarious. I can’t remember exactly how long McCourt spoke, but I can say that the time fairly flew by. Suddenly it was over. He uttered a brief thank-you and walked off the stage, all the while receiving a huge ovation from a packed house at the Rouse Theater. The second part of the program consisted of Irish music and dancing. The music was provided by a group called the Narrowbacks, an offshoot of the famed group Celtic Thunder. The Narrowbacks in 2005. 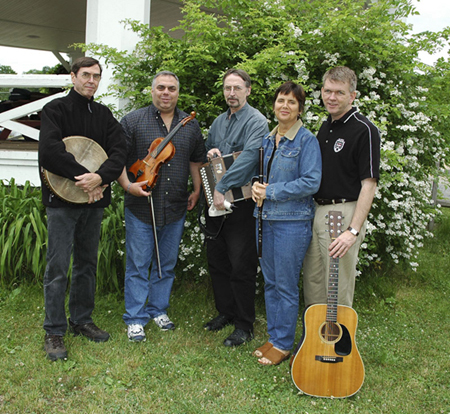 Left to right: Jesse Winch, Tony DeMarco, Terry Winch, Linda Hickman, and Dominick Murray. In place of DeMarco and Murray, Brendan Mulvihill and Eileen Korn made up the rest of the group Friday night. They treated us to a bodhran solo, world class fiddling, and beautiful singing, especially by the velvet-voiced Eileen Korn. They were a joy to watch. 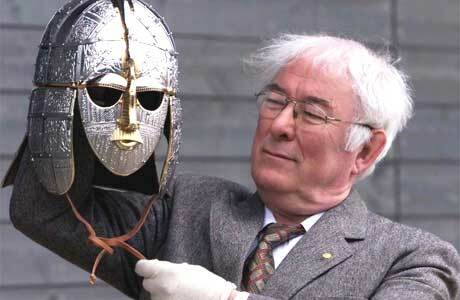 Seamus Heaney has twice been the featured speaker at the Irish evening, once in 1988 and again in 1994. 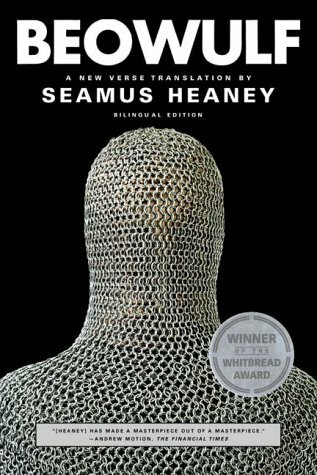 I’ve held him in great reverence since reading his magnificent translation of Beowulf. It is an inspired concept – I would gladly have set up camp in that room, for hours – even days! 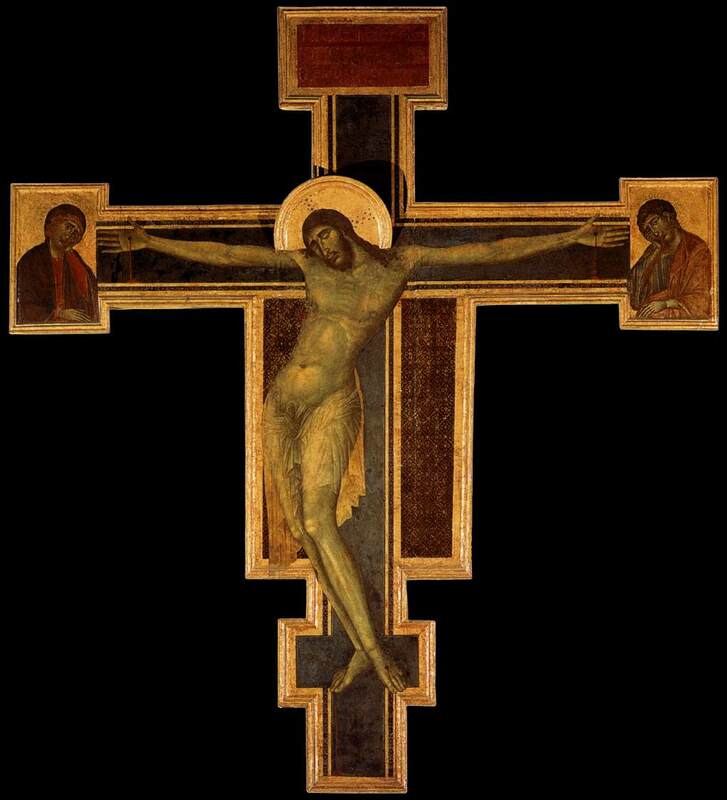 I was stopped in my tracks by this painting, as it so resembled the Cimabue Crucifix that is invariably at the center of the story of the catastrophic flood of 1966 in Florence, Italy. The special exhibit concerned the Saint John’s Bible. This is a remarkable undertaking: “…a contemporary manuscript edition of the Bible commissioned by Saint John’s University in Minnesota.” Here’s the link on the Walters site. 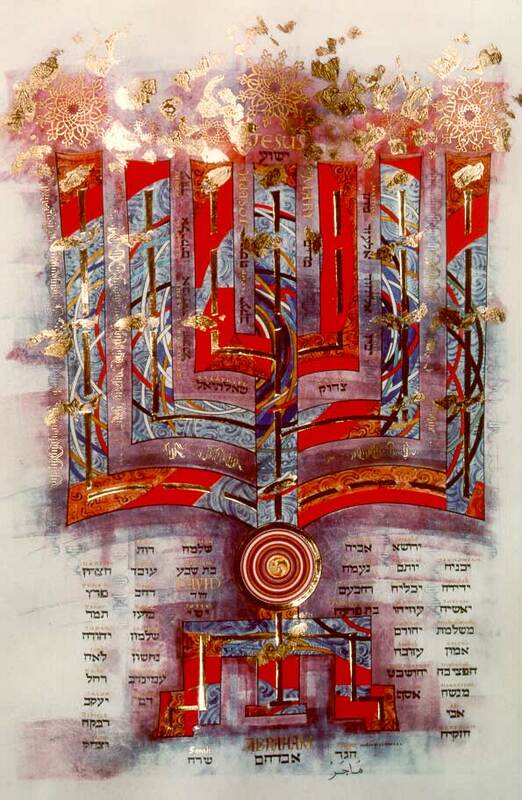 The Saint John’s Bible has been conceived of as a Bible for the twenty-first century. A fascinating, ambitious project! Other manuscripts and facsimiles were also on display. 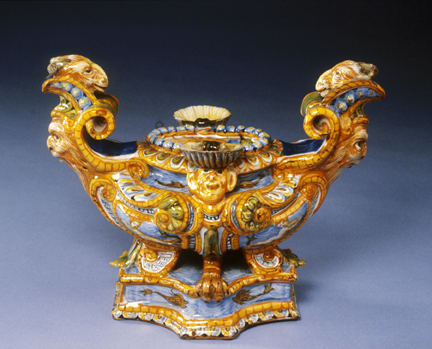 (The Walters has a superb early manuscript collection.) 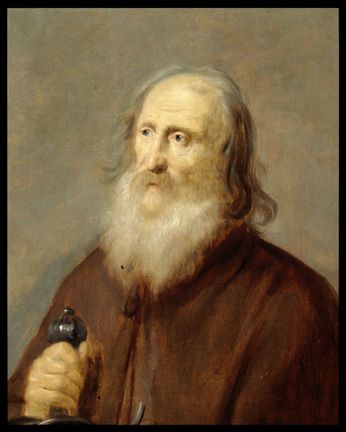 One, known as the Archimedes Palimpsest, had a story behind it that grabbed me right away. 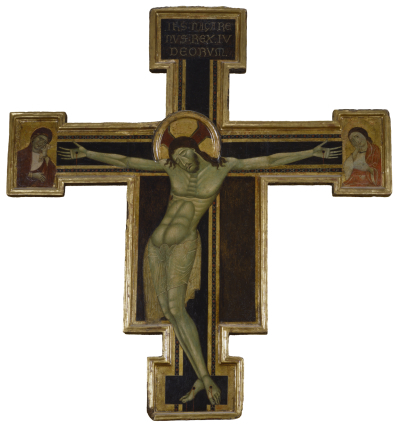 In 1998, at an auction at Christie’s in New York, an anonymous collector purchased a 13th century prayerbook for 2 million dollars. The prayerbook was a palimpsest, meaning it consisted of a work written over an earlier text contained on those same pages. In the case of this particular book, the overwritten material proved to consist of several treatises by the Greek mathematician Archimedes (287-212 BC) which had been copied out by 10th century scribes of the Byzantine Empire. 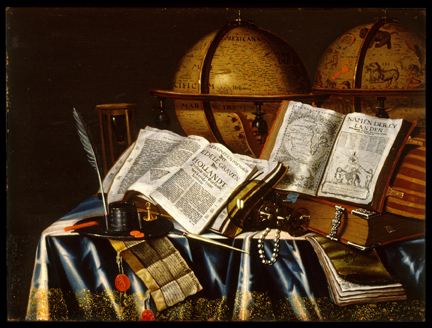 The purchaser of the prayerbook deposited it with the Walters Art Museum for purposes of preservation, study, conservation, and exhibition. Retrieving the original text has required excruciating and painstaking effort. 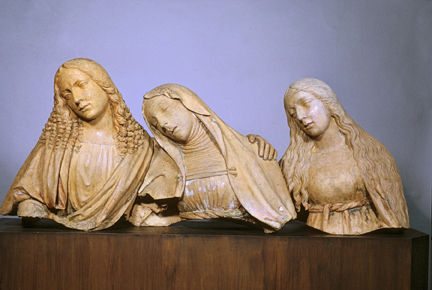 But the reward lies in bringing to light the oldest surviving copies of these works, a patrimony bequeathed to later civilization by a genius of the ancient world. 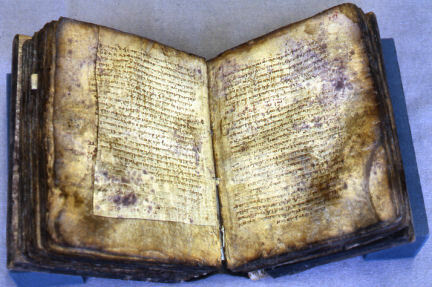 Read more about the Archimedes Palimpsest. Salads and sandwiches are available in a pleasant dining area. 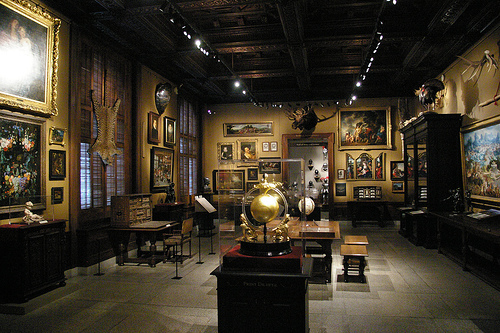 The museum is open Wednesday through Sunday; see their site for details. I invariably greet the arrival of the latest issue of Deadly Pleasures with a mixture of anticipation and anxiety. 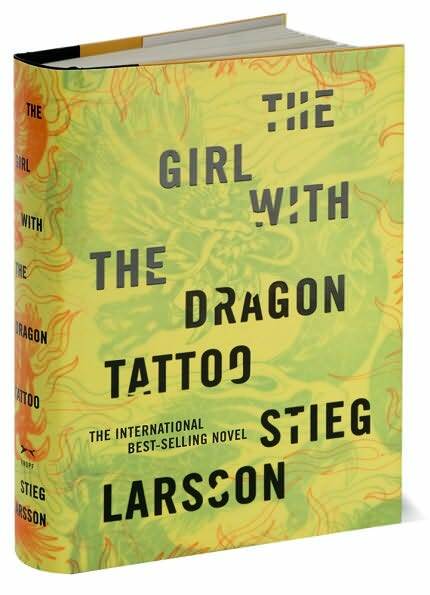 Anticipation, because of the numerous books and authors that will be commended to my crime-fiction-addicted attention. Anxiety because…well, for the same reason, naturally. There’s something especially irresistible about recommendations that come from this source. No doubt it has much to do with the great reviewers that write for George Easter’s fine publication. 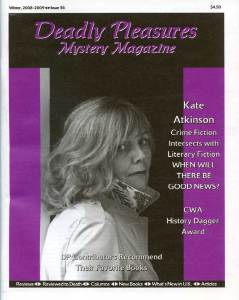 That’s Kate Atkinson on the cover of the Winter 2008-2009 issue. 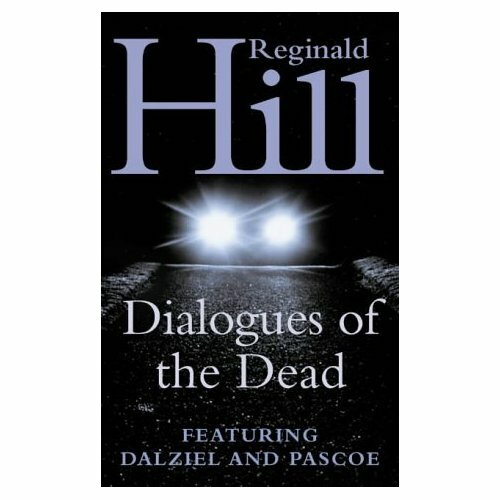 George Easter is a big fan of this author, as are several other DP contributors. Praise was heaped on Atkinson’s novel when Will There Be Good News? which, as luck would have it, I’ve already read. 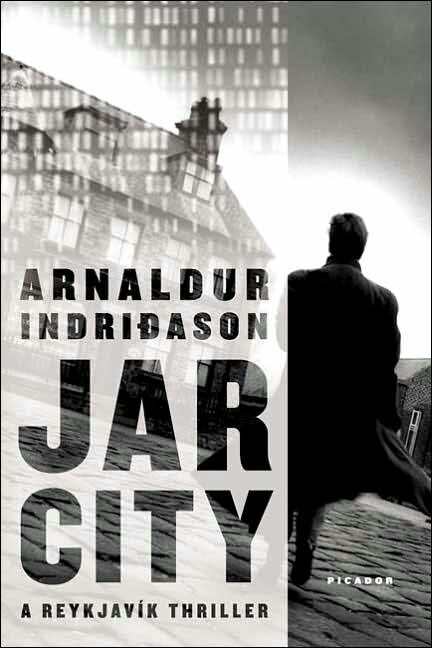 As I said in a recent post, I liked this novel, but I don’t think it quite measured up to the stellar Case Histories. 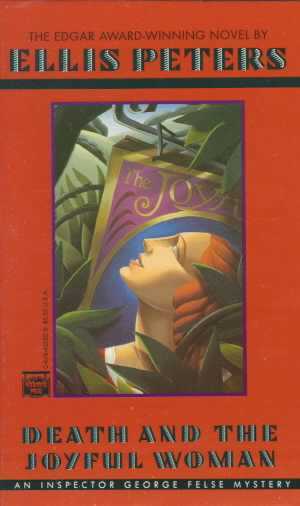 Death and the Joyful Woman (1962) is the second entry in EllisPeters’s Inspector Felse series. 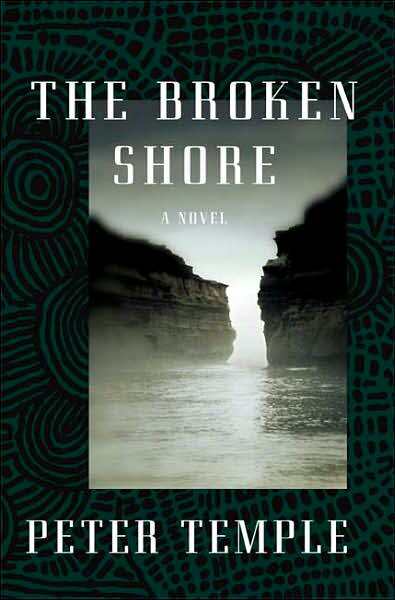 The Inspector has a teen-aged son Dominic who is the focus of this novel. 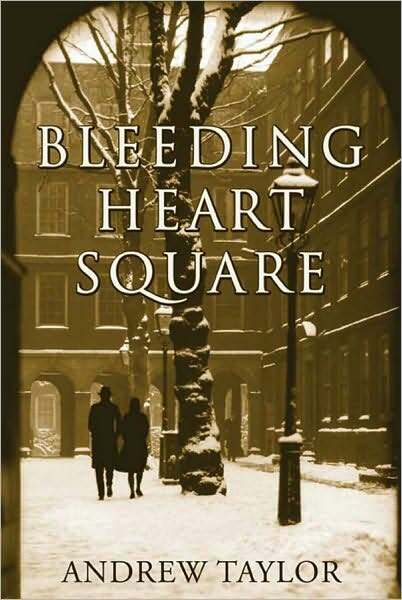 But this is not yet another tale of a troubled adolescent; instead, it is one of the most poignant, deeply felt love stories that I have encountered in crime fiction. A great choice by Sally Sugarman for old favorite. 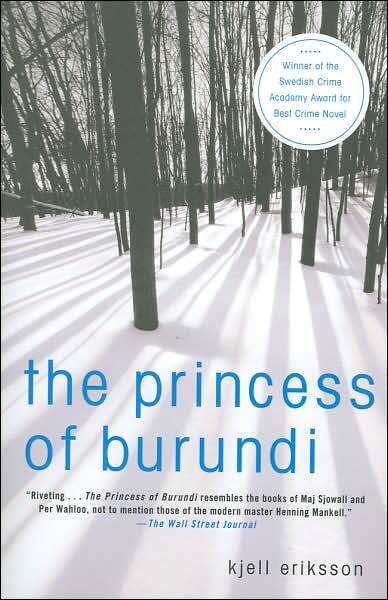 Donus Roberts describes himself as “stalled on the Scandinavians.” He recommends Kjell Eriksson’s first two Ann Lindell novels, The Princess of Burundi and Cruel Stars of the Night. Although I have not read the latter, I enjoyed Burundi enough to try The Demon of Dakar, which made my short list of 2008’s best mysteries. 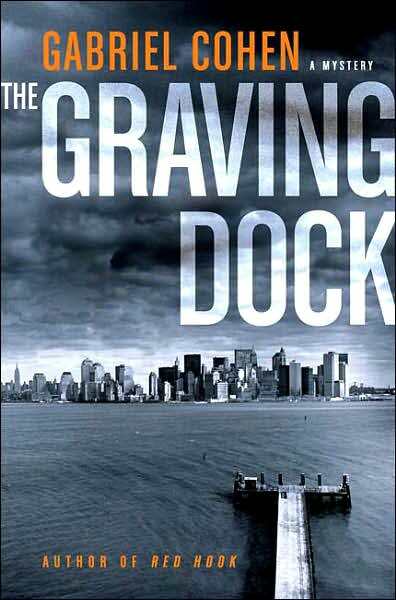 “Here is a magnificent multi-layered crime novel. It was written by a poet, and indeed there are short passages that have almost the gem-hard concentration of poems. 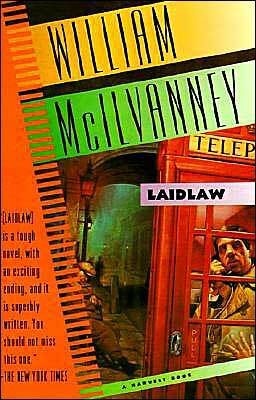 I loved Laidlaw, but I read it some years ago. Mike Ripley’s timely reminder has made me realize that it’s time to re-read it. 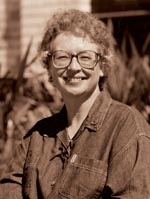 Marv Lachman laments the fact that most of Margaret Millar’s work is currently our of print. He recommends Vanish in an Instant. 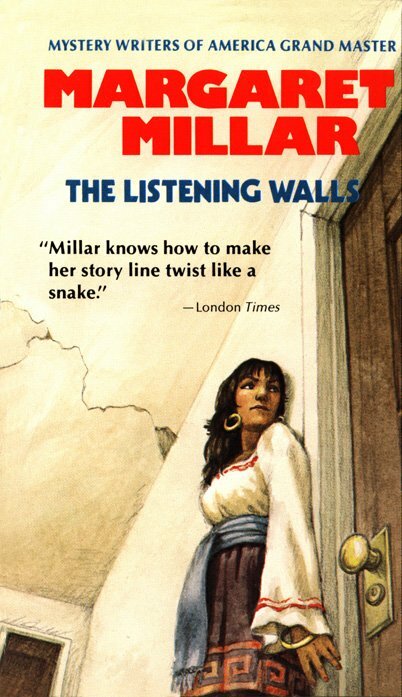 I have not read that title, but I am currently almost finished with another of Millar’s books, The Listening Walls. I’ll have more to say about it in a later post, but for now, I’ll just say that I’ve had trouble tearing myself away from it in order to work on this post! 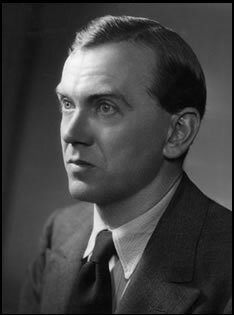 Millar, an award-winning writer of great distinction, was the wife of Ross MacDonald, whose real name was Kenneth Millar. 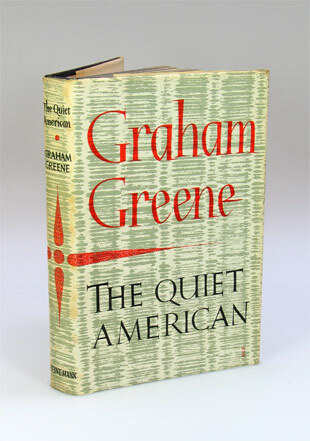 “Long before such literary writers as Joyce Carol Oates turned to the crime novel, Graham Greene wrote about 20 crime novels that he called ‘entertainments.’ In many ways these atmospheric novels have never been surpassed. Amen to that! My favorite among them is The Quiet American. 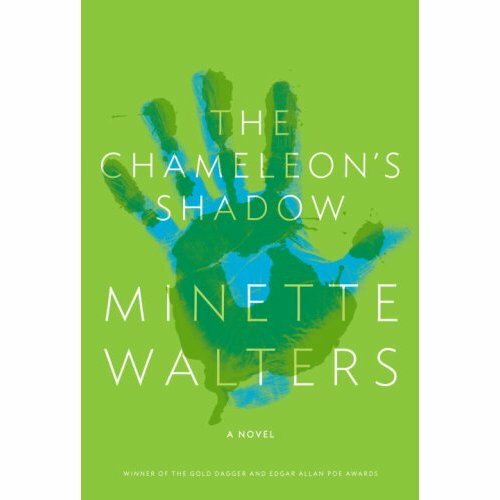 This novel’s combustible mixture of cynicism, inchoate longing, suspense and sudden violence has, in my reading experience, rarely if ever been equaled. Then there is the setting in what was at the time (the 1950s) called French Indochina, an exotic, mysterious, and highly dangerous land. 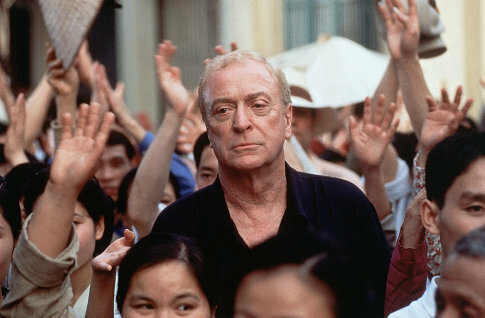 And yes, I love the 2002 film version, with the great Michael Caine in the role of journalist Thomas Fowler. Any recommendation by Martin Edwards carries weight with me. Happily, this acclaimed novel byAndrew Taylor, this year’s Cartier Diamond Dagger recipient, is finally coming out here in March. 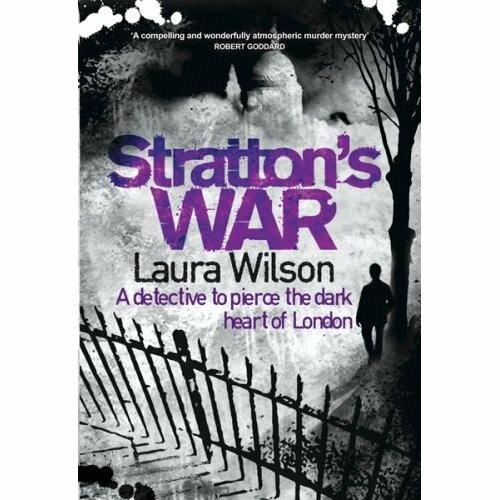 Would that I could say the same, alas, concerning Laura Wilson’s widely praised historical novel Stratton’s War. 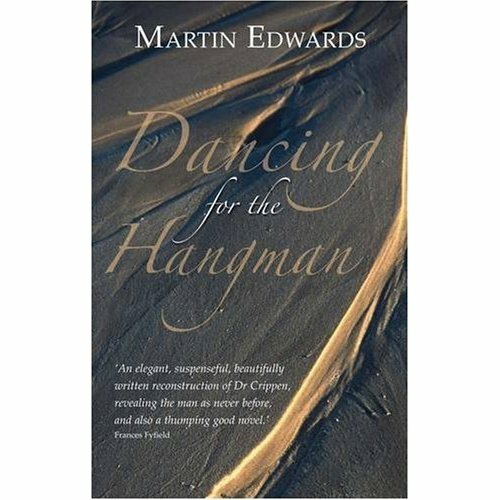 For that matter, I impatiently await the stateside publication of Martin Edwards’s own Dancing for the Hangman, which has won similar praise in recent months from UK reviewers. 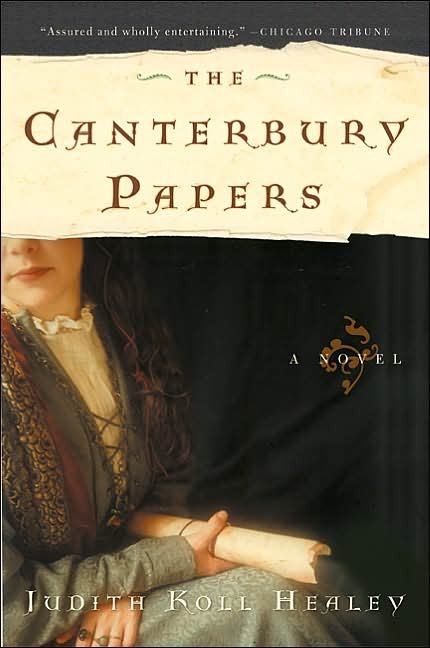 Lately I’ve been hungering for a good, meaty novel of the Middle Ages, so I’ll be sure to seek out The Canterbury Papers, chosen by Bev DeWeese as an old favorite. 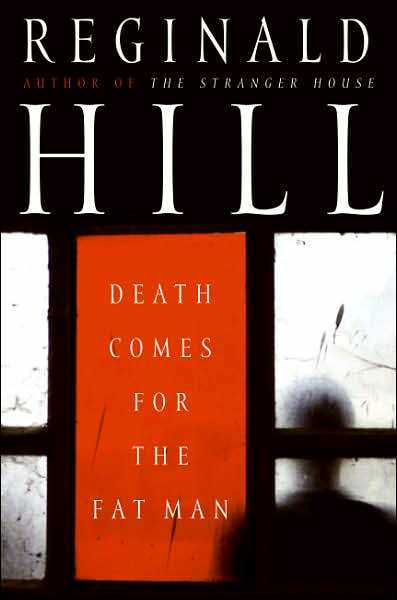 Larry Gandle comes straight out with it: “Thomas H. Cook is one of the finest practitioners of suspense fiction in the world.” Some years ago I tried to read Cook’s Edgar winner The Chatham School Affair. Something about the novel put me off – I now can’t remember exactly what – and I never finished it. But the sentiment articulated by Gandle is shared by so many whose opinion I respect that I realize it’s time to give Cook another go. 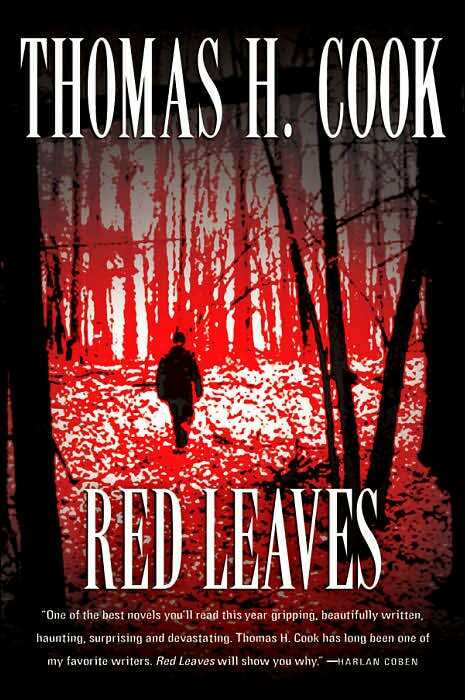 Red Leaves came in for especially generous praise, so that’s the one I’m going to read. I did not care for this author’s Silence of the Grave; I was put off by what seemed to me a fatal combination of humorlessness and over-the-top histrionics. 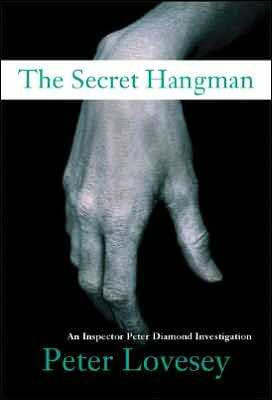 But perhaps I should take another crack at reading Iceland’s top crime novelist, as per Ali Karim’s suggestion. The Larsson in particular has gotten repeated raves. Click here if you wish to subscibe to Deadly Pleasures Mystery Magazine. 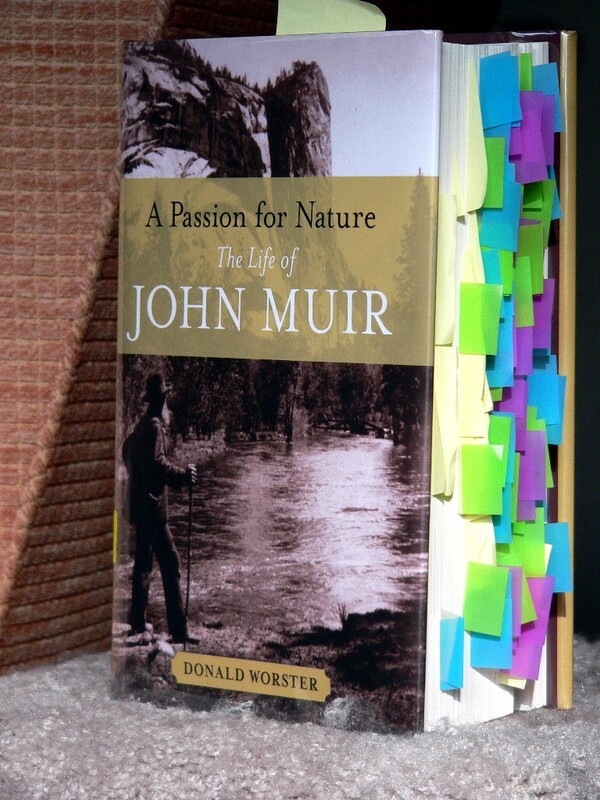 By the time I finished A Passion for Nature, I had encountered so many fascinating stories and so much superb writing – by both Muir and his biographer, Donald Worster – that the book was positively festooned with myriad of the multicolored post-it flags with which I am currently enamored. Oh, dear, I can’t very well quote the entire book! What I can do, though, is to present various highlights from this epochal tome. I propose to do this in serial form, interspersing these posts with those on other subjects. Actually, I’ve already begun this little project. (See “Literary Musings” from February 7.) What follows is the second installment. 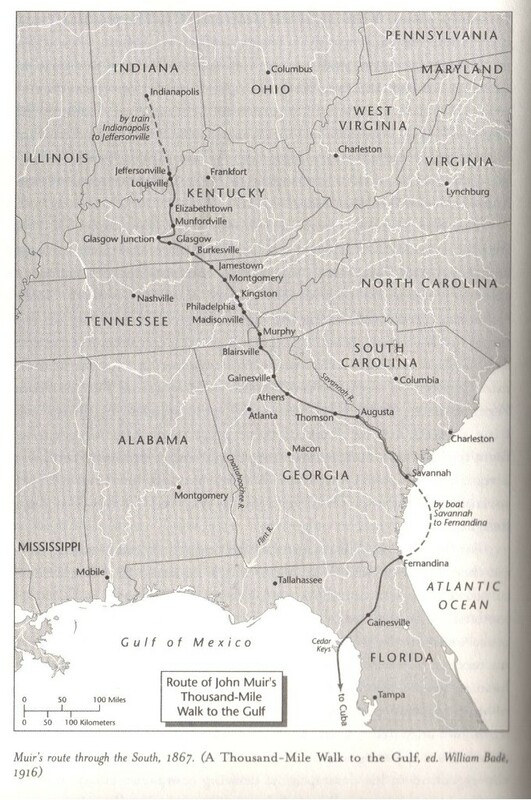 In 1867, John Muir undertook to walk from Indianapolis, Indiana, to South Florida. From there, he planned to take ship to Cuba. At the time, he was 29 years old. “The higher he climbed, the more backward and benighted the people became, and the more dangerous. It was in the delightsome mountains that Muir met a roving band of outlaw whites who lived by marauding and plundering. They let him pass because he looked like a poor, hapless collector of herbal remedies. Never before in the Midwest or Canada had he known real danger in his travels, but the South was a land where men regularly carried guns and where officers of the law were often far away, a condition that seemed to increase with the grandeur of the surroundings. Despite contracting malaria in Florida and nearly dying, Muir eventually made it all the way to Cuba. …in which, among other things, Your Faithful Blogger receives a much-needed lesson in humility. 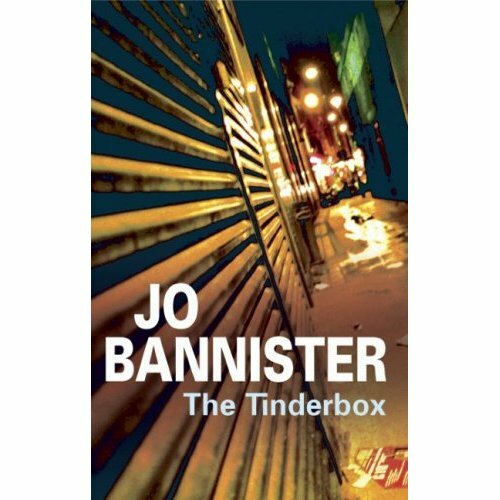 When I reviewed The Tinderbox in July of 2007, I had nothing but praise for Jo Bannister’s novel concerning a runaway daughter’s disappearance into a loosely constituted community of homeless individuals. Last night, however, the book – well, quite simply, it bombed! Out of ten Usual Suspects members present, only three of us liked it: the discussion leader Louise, Frances and myself. Everyone else found fault with it; one person found it unreadable, and the rest were disappointed with it in varying degrees. Several people seemed downright disgusted with it. I was at a disadvantage as regards mounting any sort of defense of the novel because it had been so long since I read it. I knew only that I had enjoyed it very much, as my blog post reflects. Criticism of The Tinderbox was specific and cogently reasoned. Some disliked the unspecified location of much of the action; the colony of the homeless – the “tinderbox” of the novel’s title – exists beneath a highway overpass on the outskirts of London, but Bannister never pinpoints the exact location. 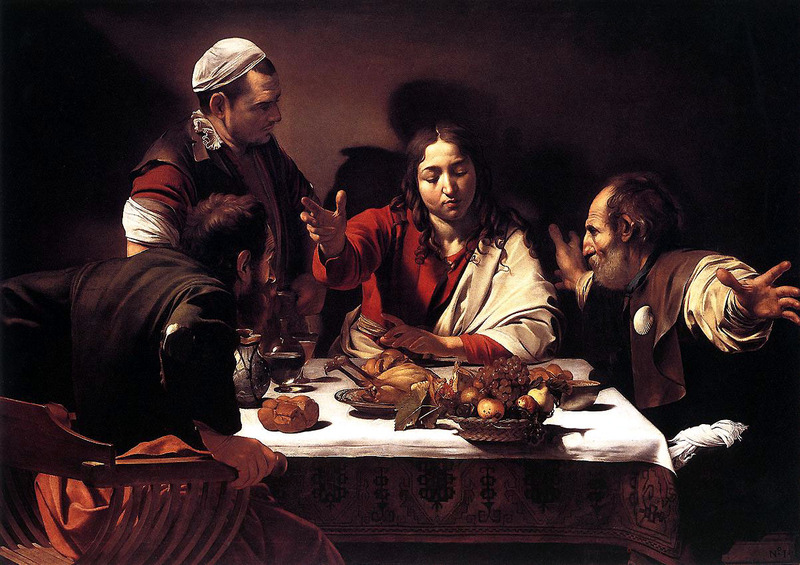 Carol felt that there should have been some differentiation in speech patters among the various homeless characters. Many thought the actions of the girl’s father, Lawrence Schofield, ill-considered or just plain crazy. 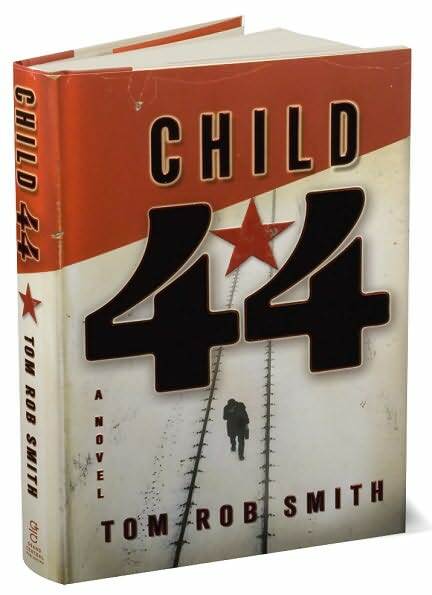 People were irked by the lack of explanation as to why Cassie, the daughter, ran away from home, and almost everyone was deeply frustrated by the fact that the book ends without informing the reader as to whether Schofield’s efforts to locate his daughter ultimately meet with any success. As often happens in book club discussions, especially when the selection proves unpopular, the group moved on to other topics. The Schofield family problems led to a discussion of homelessness and runaway children. As an exemplar of the phenomenon of children and/or young adults leaving home and rejecting their families, I brought up the true story of Chris McCandless. In Jon Krakauer’s Into the Wild, McCandless becomes a real, tangible person, even while his motives – particularly his cruel refusal to communicate with his parents or his sister – remain murky (at least, they did for this reader). We proceeded to discuss other forms of familial dysfunction, using certain currently infamous families as examples (and that’s as specific as I’m going to get!). 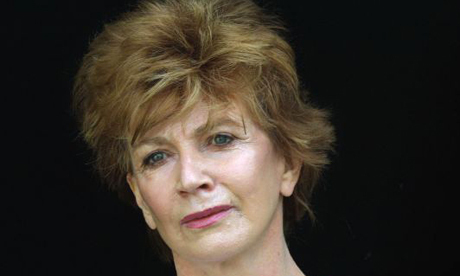 We revisited the case of mystery author Anne Perry’s participation in a murder in 1954. This crime took place in New Zealand while Perry – then Juliet Hulme – was still in her teens. This story, dramatized in the disturbing film Heavenly Creatures, still has the power to shock. I voiced the opinion that Perry rode out the storm caused by this revelation with as much dignity and stoicism as was possible. She took full responsibility for her actions and offered no excuses. Furthermore, I believe that she has tried to expiate her adolescent transgression – admittedly a terrible one – by living a productive and virtuous life as an adult. Usual Suspects benefits greatly from the varied backgrounds of its members. 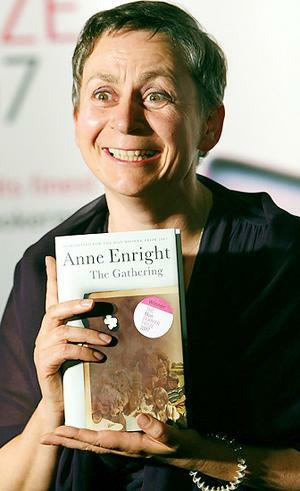 Pauline’s English roots help her to place some aspects of British novels in context. Ann’s experiences as a nurse and Chris’s as an employee of the Social Security Administration were relevant to last night’s discussion and added to our understanding of the actions of troubled individuals and communities. Chris was surprised that Jo Bannister did not acknowledge the role that drug use almost invariably plays among the homeless. The need to feed an addiction can turn normally kind people reckless and vicious. Finally, I always enjoy Mary Edna’s reminiscences about growing up in Baltimore in the 1950’s. I didn’t mention this last night, but for those interested in reading about the “real Baltimore,” Rafael Alvarez’s stories are quite wonderful. And Edward P. Jones’s masterful tales provide a similar window into the day to day lives of African Americans in mid-twentieth century Washington DC. I particularly enjoyed his first collection, Lost in the City. So: with regard to The Tinderbox, it was a fairly unanimous thumbs down from the Suspects. 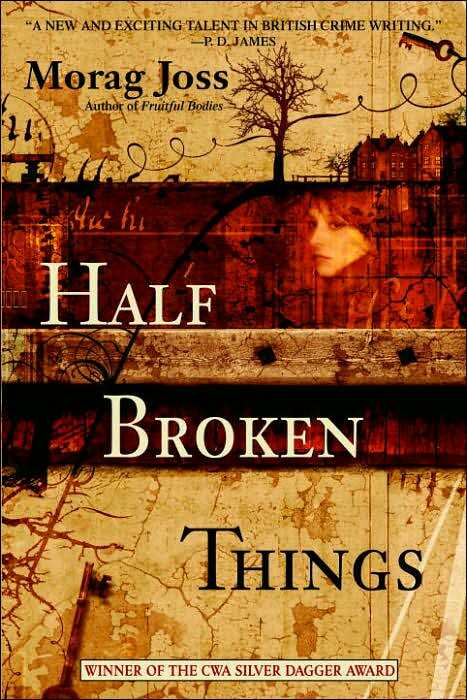 I have to say, I feel slightly idiotic for having glossed over what others perceived as major defects in Jo Bannister’s novel. But such is life, and particularly, book club life. As my Dad would have said with a shrug and a smile, “That’s what makes horse racing!” (And he would have known, having spent nearly every Saturday afternoon at the race track. In the way of children, I always assumed that come the weekend, everyone’s Dad did this!) If the title you select for your book club is not well received, you have to work at not taking the negative reaction personally – at least, I have had to work at it, in the past. I am full of admiration for Louise, who more or less took it on the chin and appeared completely unfazed by the disapprobation expressed by group members – and they should express it, if that’s how they honestly feel. The entire exercise is a wash, otherwise. So, did we have fun Monday night? we certainly did! Usual suspects is a terrific group of ladies (and one gentleman). The members are savvy, perceptive, and thoughtful. Wittiness abounds; there are plenty of laughs. And I’ve never sensed any of the ill feeling of the sort so entertainingly recounted in an article in December’s New York Times. 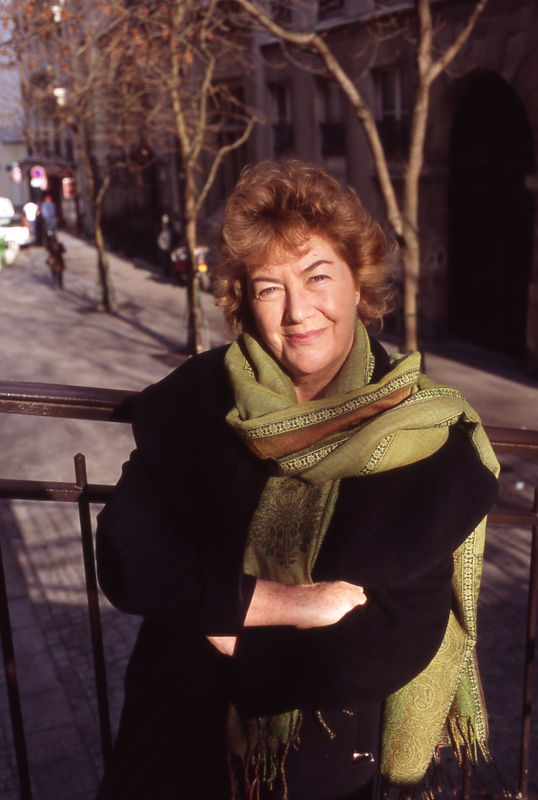 Louise mentioned that she had great difficulty finding author information on Jo Bannister. There is an article on Bannister in the Biography Resource Center, a Gale database. This resource and others are available via the library’s website; you’ll need to enter a library card number in order to gain full access. I’ve been thinking that it’s about time for me to step up to the plate and offer to lead a discussion. I think I’ll pick a classic – a universally acknowledged classic. I noticed when the sign-up sheet was going around that someone is thinking of doing Poe stories in August. Wise choice – very wise choice! 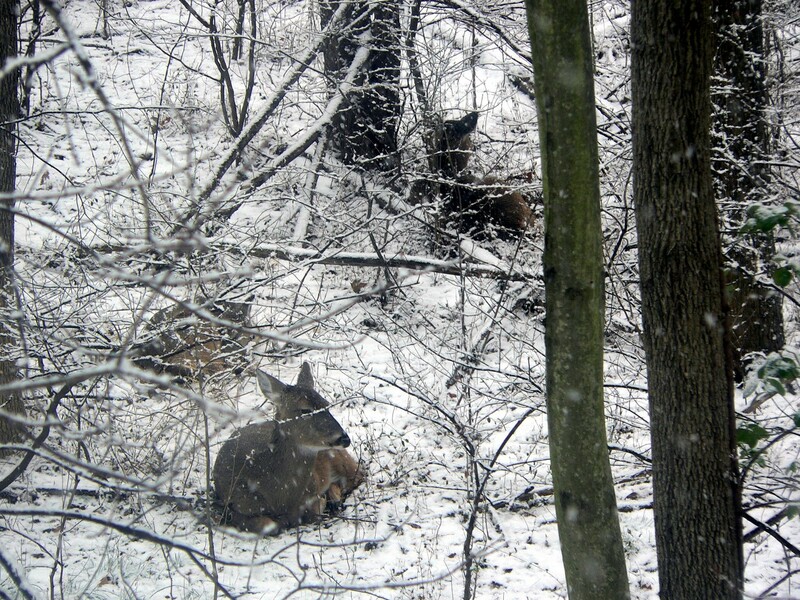 The above three photos were taken with a Panasonic FZ-20 digital camera with a 12x zoom lens. 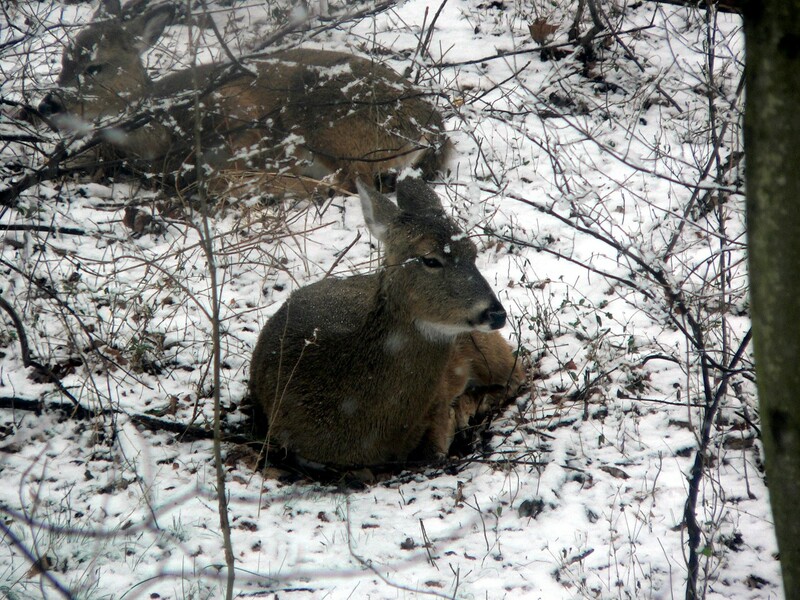 The two below were taken with the same camera in the optional wide screen mode. 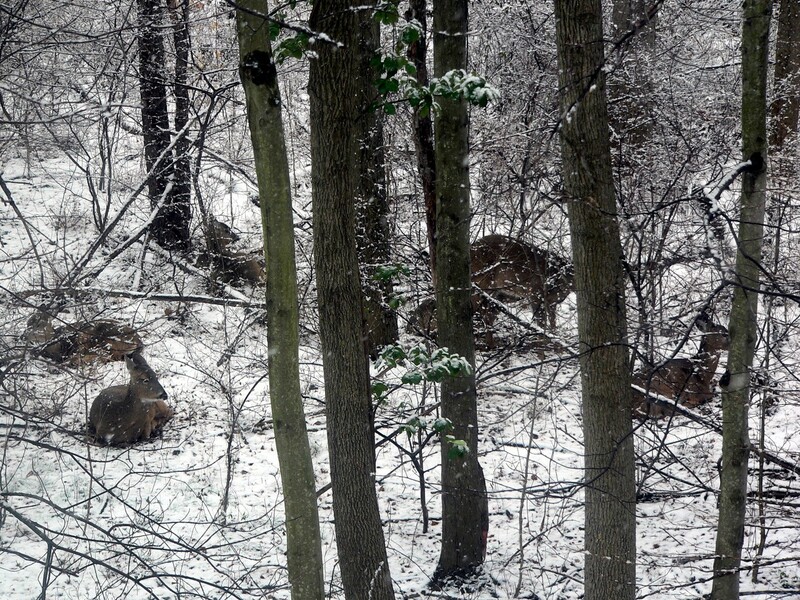 Be sure and click to enlarge; these look beautiful in full resolution. 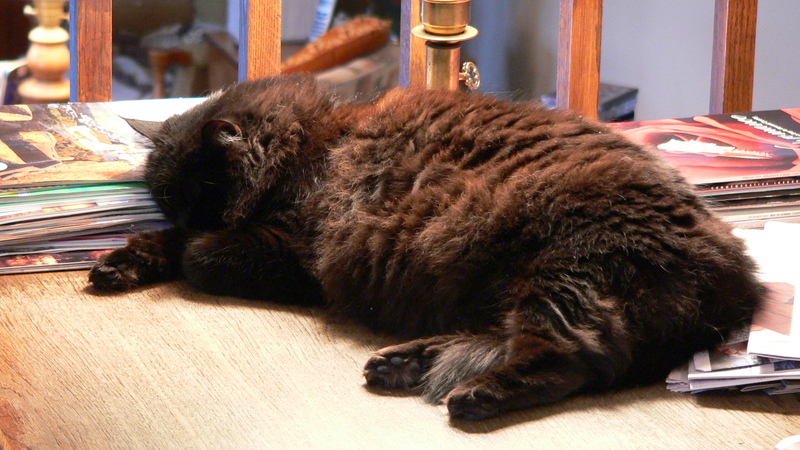 The other Dear, Miss Marple, sleeping through the excitement, as usual! All pictures were taken by my husband Ron.